5 Bedroom Detached House For Sale in Braintree for Offers in excess of £750,000. 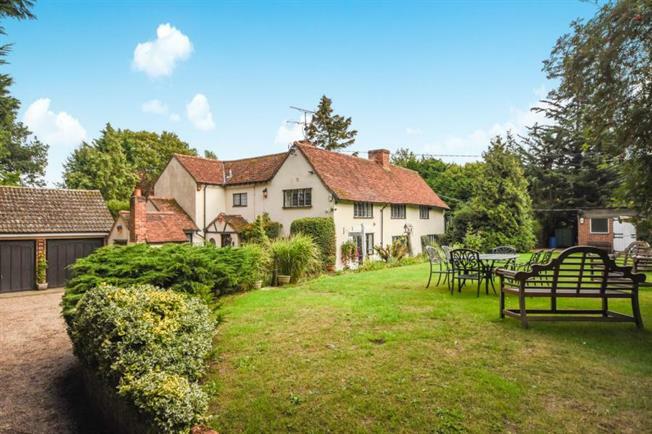 Grade II Listed 15th Century 5 bedroom detached family home set within approximately 1.1 acres backing onto farm land. the property includes 2 bathrooms, 3 reception rooms. outside these is also a 3 car garage, 2 stables and a tennis court in need of refurbishment. Situated close to the A120 where good access can be gained to Stansted Airport, the M11 and A12. Hunters Roost offers close proximity to shops, schools and social facilities and is also on a popular commuter route into London Liverpool Street. The nearby Village of Stisted offers superb golf course and is situated not too far from excellent local pubs/restaurants.